Yes THANK YOU very pleased with the batteries, fitted them myself they arrieved on the day stated have been on several long spins to check them , and only needed a small charge to top them fully up again . a very good battery as far as i am concerned, a good company to. lots of help if required , . First class service. Just the job. Thank you. Superb sevice from start to finish. 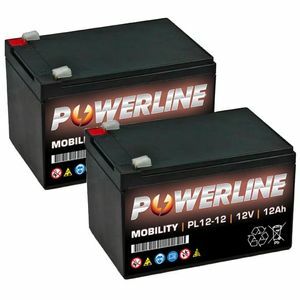 Really helpful on net and very fast service, batteries arrived following morning. The batteries arrived next day as specified. Really good service, and value for money. So far, though its very esrly days, all is well. Ordering service was simple and quick, as was delivery, and the price competitive. The service was quick and the batteries arrived in god condition for a mobility scooter. The batteries worked first time and was an exact size for my scooter. Arrived next day. Thanks. Excellent carol communication and fast delivery.